Throughout her career, Beyoncé has sold an estimated 100 million records as a solo artist, making her one of the best-selling music artists in history. She has won 22 Grammy Awards and is the most nominated woman in the award’s history. She is also the most awarded artist at the MTV Video Music Awards, with 24 wins. Forbes ranked her as the most powerful female in entertainment on their 2015 and 2017 lists, and in 2016 she occupied the sixth place for Time‘s Person of the Year. JAY-Z is one of the best-selling musicians of all time, having sold more than 50 million albums and 75 million singles worldwide, while receiving 21 Grammy Awards for his music. He is the former president of Def Jam Recordings, co-founder of Roc-A-Fella Records, is the co-creator of the clothing line Rocawear, and the founder of the entertainment company Roc Nation. He also founded the sports agency Roc Nation Sports and is a certified NBA and MLB sports agent. In the summer of 2014, Jay-Z and Beyoncé performed six weeks of sold out stadium dates across North America with their highly anticipated On The Run tour. The tour closed with two international dates in Paris, France that were filmed for an HBO special, and it also received an Emmy nomination. 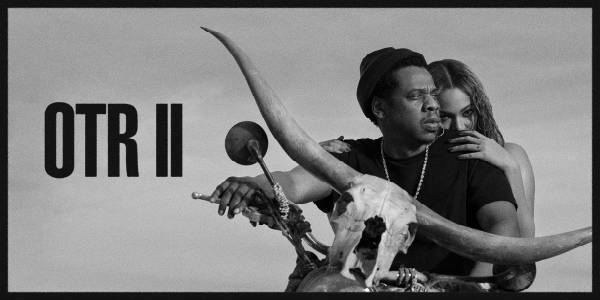 Kicking off Wednesday, June 6 in Cardiff, U.K., the international outing of OTR II will visit 15 cities across the U.K. and Europe, and continue on to 21 cities in North America. This will be the tour’s only Central Florida stop. Starting at $20 (prices subject to change). Buy tickets at CampingWorldStadium.com, Amway Center box office (serves as the primary box office for Camping World Stadium during non-event days), Ticketmaster retail locations, charge-by-phone at 800.745.3000 or at ?Ticketmaster.com. Tickets go on sale to the general public on Monday, March 19 at 10am. Citi is the official credit card for the OTR II stadium tour and Citi card members may purchase tickets beginning Wednesday, March 14 at 12pm through Saturday, March 17 at 5pm EST. For complete pre-sale details visit, citiprivatepass.com. Beginning Wednesday, March 14 at 9am EST in North America, Beyhive members and TIDAL subscribers will have a pre-sale opportunity for all dates. To join the Beyhive and get access to tour pre-sales, visit Beyonce.com. TIDAL members can find details for purchasing tickets on TIDAL.com or via the TIDAL mobile, web and desktop apps.